It’s interesting to note that radiant heating systems can be installed in the floor, the ceiling, or the walls, but the floor tends to be the most popular choice because of the increased comfort. Energy efficiency is critical as it can have a significant effect on the cost of an utility bill. Generally speaking, radiant heating systems tend to be more energy-efficient than convection-based heating systems. They can maintain the same temperature as a traditional heating unit while actually costing less. Radiant heating systems provide a more comfortable heat, particularly if they are installed in the floor rather than the ceiling or walls. Heated air tends to rise before falling as it becomes cooler and cooler, meaning that convection-based heating systems can result in chilly toes. In contrast, radiant heating systems heat evenly, thus ensuring a comfortable temperature throughout the body. Radiant heating systems are unobtrusive, which makes them an excellent choice for people who want to live in the most peaceful surroundings possible. In part, this is because radiant heating systems are out-of-sight. However, it also helps that they produce minimal noise when heating a building. That can’t be said of convection-based heating systems with their roaring vents. On a related note, some people prefer radiant heating systems because they reduce their chances of suffering from their allergies. Heated air doesn’t circulate by passing through ducting systems. It doesn’t come into contact dirt, dust, and other contaminants that can build up in the ducts of convection-based heating systems. 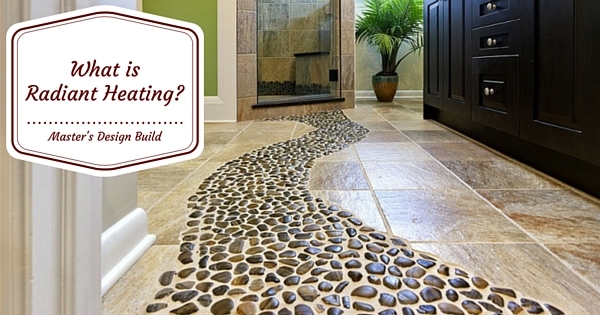 What Are Some of the Potential Complications from Using Radiant Heating? Some radiant heating systems use electricity to generate thermal radiation while others use a heated medium such as either air or water. Electrical systems tend to be more expensive than their counterparts. However, this can be countered if electricity prices are lower during off-peak hours, particularly if the barrier between the radiant heating system and the rest of the building retains heat well. Different flooring materials have different properties that make them either better suited for radiant heating systems. For example, concrete retains heat well but takes longer to heat up, meaning that they should be used with a constant temperature. Floor coverings must be minimized for radiant heating systems to provide the best performance. As a result, ceramic tiles work well because they are both thin and capable of conducting heat. In contrast, carpeting works poorly because it is an insulator. Radiant heating systems are starting to see more use. 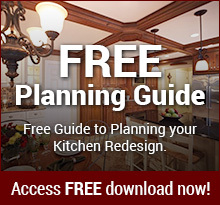 There’s a wealth of information for people interested in using it in their homes. Using a professional design builders for a project like the installation of radiant heating can make or break the entire experience, so be sure to do your homework and find a trusted professional to work with. Are you interested in radiant heating systems? Contact us today and we can help you decide if radiant heat is right for you.